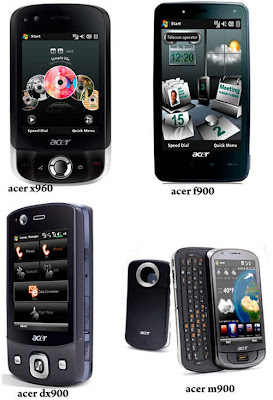 Acer launched a complete line of smartphones for the Asia-Pacific region. With its five new models, the company professes lofty ambitions of becoming one of the top five smartphone vendors in the world within the next three years. Prices will range between $400 and $530. In all, five models will be unveiled in the first half of this year. The launch came only two months after the company said it would enter into the mobile phone market in February at an industry event in Barcelona. Nokia leads the market for smartphones, followed by Research in Motion (RIM), and finally Apple. Other laptop makers are joining the fray with Toshiba already manufacturing handsets, and rumors that Dell is preparing to launch its own line in the near future. I wonder how many more companies will join the bandwagon. Its a tough business and most will find out later that making money in this segment isnt going to be an easy one.